The success and popularity of the original Secret London – ‘Gaslights & Alleyways’ night workshop is quite remarkable. Loved by so many photographers around the world, from all walks of life and from every skill level, they quite literally sold out in a matter of hours with many people attending on two and sometimes three occasions! So, here it is…Secret London II. A new itinerary of brand new locations…and perhaps some old favorites! 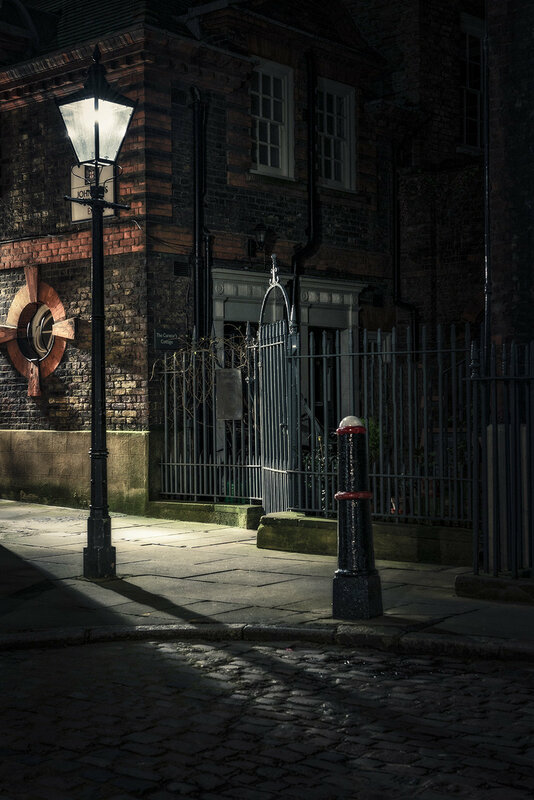 Join me and Terry for a night of image making at some of London’s darkest, eeriest and most atmospheric courtyards and passageways…and of course, it wouldn’t be one of my workshops if there wasn’t one or two lovely gaslights! We meet at 21:00 hrs at Kings Cross Station. Working through the night into the early hours of the morning and finish at approximately 06:00 hrs where we will drop you back to Kings Cross for your journey home. We’ll help you get to grips with the basics of night photography and be on hand to help you master this specialist genre of photography and demystify the techniques involved to get you capturing some fantastic images. Terry and Gary will effortlessly transport us around all night in their iconic black cabs leaving us as much time as you need at each location to hone your skills. So, all you have to worry about is taking fantastic images all night! We will of course be making a couple of stops for some well deserved refreshments. Everything is in place for an awesome night; I hope you can join us. “Very different from the first Secret London but just as good. The locations were more challenging though that is no bad thing in my view. You and Terry are such good workshop leaders - always there to help and make suggestions but also allowing us to just get on with it and try out our own ideas. I would like to do this again especially if you have a wet one planned (not pouring down!)”. “I learned a great deal about night-time photography, and I think I've bagged a few choice shots too (even on my vintage Canon EOS-20D!). Both Sean and myself flaked out on the train back to Loughborough, but it was all very worthwhile”.